Nail breakage can be a sign of malnutrition. Taking minerals and vitamins may help nails to stay healthy. Keep the roots of the nails moisturized. Avoid damage to nails from sharp objects. No one enjoys a broken nail. For someone who is consciously careful about protecting her nails, a little scratch can be quite frustrating, let alone seeing it break. Once it does break, comes the absolute pain of filing the rest of the fingernails to match the height of the lowest one. Well, that surely is a sad thing. But, breaking of nails could be a sign of something wrong happening inside your body which you have got to fix. Here is what you need to focus on if you want to prevent premature breakage of nails again. 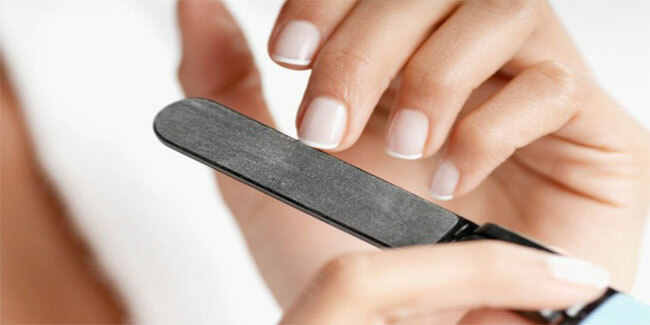 Just like your hair, your nails need the right nutrients and minerals to grow strong and long. Vitamin C is essential for the production of collagen, a protein used by the body to grow fingernails. Since our body can’t produce vitamin C on its own, you will need to consume foods that are rich in this nutrient. Include more green leafy vegetables, nuts, lean meats and fresh fruits in your diet to prevent breakage of finger nails. Moisturizing nails is just as crucial as it is for skin. But, those who think nails don’t need a moisturizer should think again. May be lack of moisture is causing them to break? Try a nail dip at home to give your nails optimum moisture. All you have to do is take olive or coconut oil in a bowl and soak your fingers in it for a little over 10 minutes. You can also prevent breakage of finger nails by trying a DIY hand soak at home. Get yourself some fresh lemon juice, apple cider vinegar and warm water. Lemon, as you know, contains vitamin C. Apple cider vinegar and warm water are effective in removing white spots present on the nails. Besides, apple cider vinegar contains acetic acid, which also helps fight off nail infections.